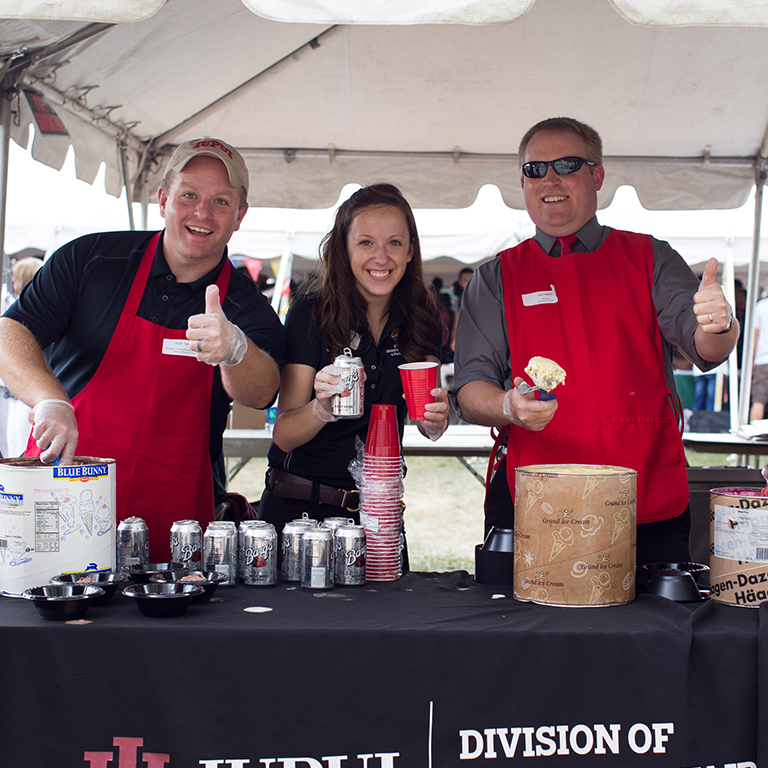 The Division of Student Affairs is at the center of campus life at IUPUI. We work to make every aspect of your experience here—at least, those outside the classroom—as rewarding as possible. Whenever you engage on campus, whether you’re working for a student organization, working out in the fitness center, or getting checked out at Student Health, you’re benefitting from the work we do every day. But you know what? It’s okay if you didn’t know that’s what you were doing. We’re happy to remain in the background, as long as you walk away more prepared for life than you began. 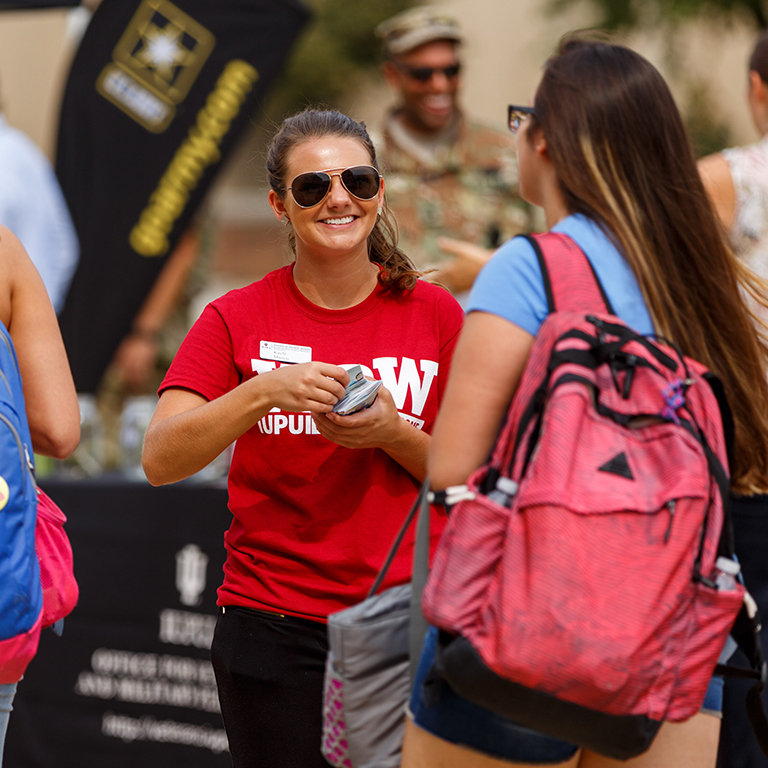 Everything you do on campus helps you earn skills that you’ll use wherever life takes you. Think about it. When you get involved with a student organization, you’re gaining communication skills, learning to cooperate with others, maybe even polishing your leadership abilities. When you join an intramural team, you’re learning about teamwork. When you take a yoga class, you’re learning balance. You’re even learning self care when you head to Student Health to get a checkup. And you do it all without having to study—or even think about it. The Division of Student Affairs includes nine units employing hundreds of people—including dozens of student workers. And they’re all dedicated to making your every experience a positive one—and one that helps prepare you for life. Student life is thriving at IUPUI and our campus is becoming a more dynamic place all the time. But with increased activity comes more demand—which requires more financial support. Your gift will ensure that we can continue to provide quality programming to our students and further ready them for life.